Originating in Japan from the Aomori Apple Research Center around 1920, the Green Dragon apple was named after the Chinese symbol for royalty. It is highly prized and a delicacy in many Asian countries. 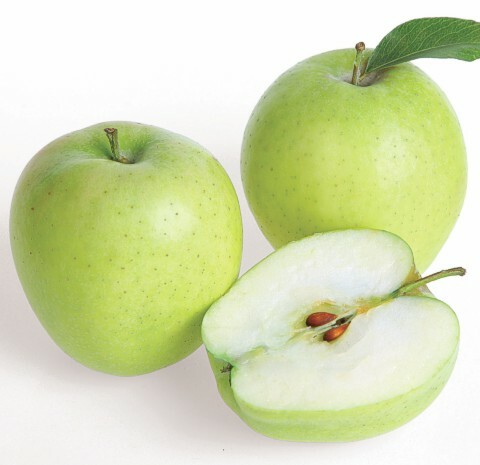 The appearance of the Green Dragon apple resembles a green tinted Golden Delicious but the white, crisp-textured flesh of the Green Dragon apple is encased in a skin that resists bruising. Coming from the same parents as the Mutsu and Shizuka apples, it has raised above its siblings in taste, flavor and popularity. It is a sweet apple, with low acidity, and numerous fruit esters in the aroma, it is known as the most aromatic of apples. The flavor has been described as having a slight pineapple flavor and yet others have compared it to a pear-like taste. The taste is sweet yet it leaves a subtle hint of tart behind. Although locally grown and harvested in the Pacific Northwest, until now the Green Dragon apple has been mainly exported to Asia, available only to the public through fruit stands, farmers markets or you-pick orchards.